The Model 65 has been the compact motor grader of choice for local, state and federal government bodies since 1949. Municipalities absolutely love the power, reliability and ease of operation of the legendary machine built like the Big Boys! 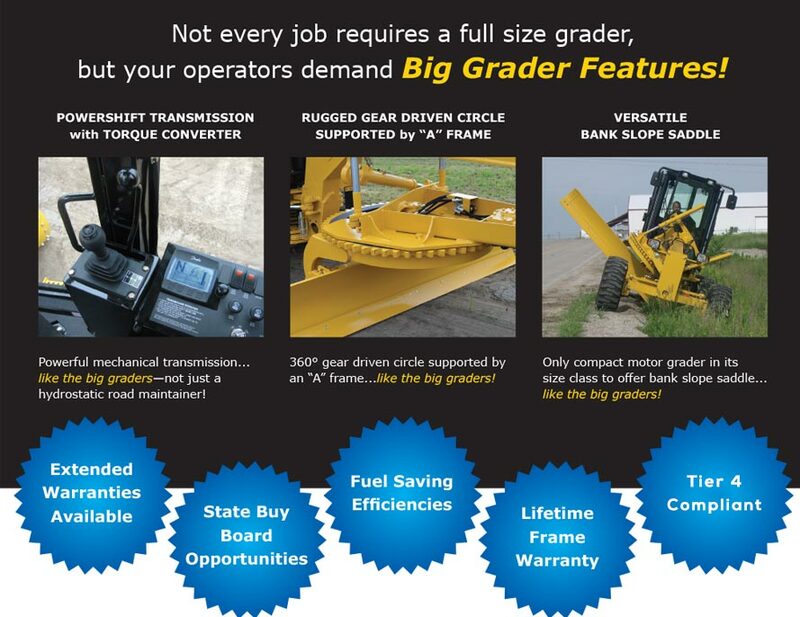 The versatile 65E is the perfect grader for road and shoulder maintenance, ditch cleanout, alley work, site preparation, recreation field development, and much, much more while saving government agencies dollars by lowering “owning & operating expenses”. The NorAm 65E is very proud of its 65 year lineage of continuous “Made in America” production. Serving the municipal market since 1949!